Does Eddie Bauer make you feel rugged? Woodsy? Ready to take on a bear? Growing up, this brand was the practical staple of outdoorsy guys. With celebrity stylist Ilaria Urbinati, the collection for fall has been revamped into an elegant example of rustic chic inspired by pioneering active women. The main inspiration was Christine Bauer, Mrs. Eddie Bauer herself. She was an avid outdoorswoman. 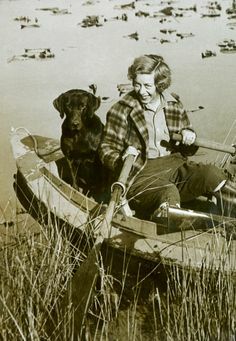 She pursued hunting, fishing and made it look like a sophisticated pursuit. A more contemporary muse was Margot Tenenbaum of The Royal Tenenbaums movie. Urbinati imagined how the emo heiress would dress if she were out in the woods.This is the look the stylist herself was projecting this week at the collection press previews (above). The capsule collection itself had great plaids in soft wool in cropped stylish silhouettes or a longer, modern A-line with faux fur. Another jacket was a super fluffy cream fleece that felt like being hugged by a baby lamb. 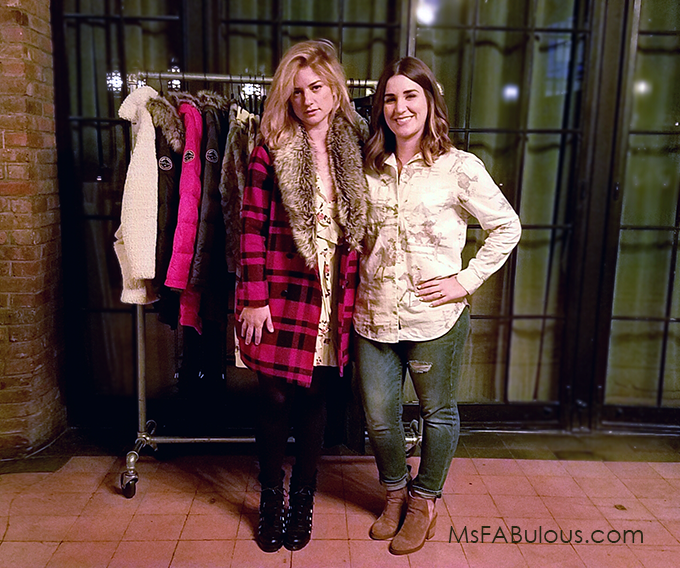 I also loved the faded, vintage hunter's print in flannel and Pendleton blanket inspired scarves. Ilaria Urbinati is responsible for the hunky red carpet looks of your favorite guys like Bradley Cooper and James Marsden. She was also the woman behind Shaileen Woodley's transformation into fashion force. Her first collaboration with Eddie Bauer was to revamp their Men's offerings. The brand has been celebrating their heritage of posh outdoor pursuits and the wardrobe to complement it for awhile now. With women's fashion, that usually doesn't sound exciting unless the silhouettes and fabrics are given the injection of style that Urbinati gave. Her male charges appreciate her style guidance. 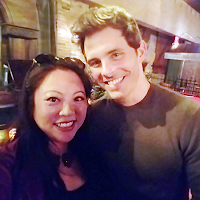 Her intimate launch party drew clients James Marsden and Mr. Robot's Rami Malek to support her at the Bowery Hotel. If you are looking for cozy and fierce offerings this fall, look no further than Eddie Bauer's collaboration with Ilaria Urbinati.